Richard Brody at The New Yorker writes another excellent article regarding Whit Stillman. This time focusing on his new pilot, The Cosmopolitans. This suspense is at the heart of Stillman’s drama; it’s how he gives a theatrical kick to situations that are spare on action. He equips his characters with expository dialogue that’s so smart and sharp that it, too, seems like a sort of action—thought in action. But then he sets those characters in motion and puts them to the test. He also puts their identities to the test, with the comedy and the drama of self-definition and self-creation (this comes to the fore especially in “Damsels in Distress”). In effect, for Stillman, exposition is a matter of form; the deft interweaving, from the very start of “The Cosmopolitans,” of disparate situations arises from a sense that labelling, whether through self-identification or the identification of others, is itself an act of high drama. Nicole Kidman had also told Stillman that Kubrick talked about the film all the time and that he said he liked the technique of dialogue advancing the story. Kubrick was known to have loved Whit Stillman’s Barcelona. A while back our site posted a link and information obtained from the The Last Days of Disco audio commentary that Stanley Kubrick loved Whit Stillman’s Barcelona. Shortly after the post BFI then added Barcelona to their BFI Stanley Kubrick, cinfephile list (more specifically the Off List). Now here is some more uncovered information through some searching on the internet. It comes from interviews with Thomas Gibson who got the role in Eyes Wide Shut due to the fact that Kubrick had seen him in and loved Barcelona. 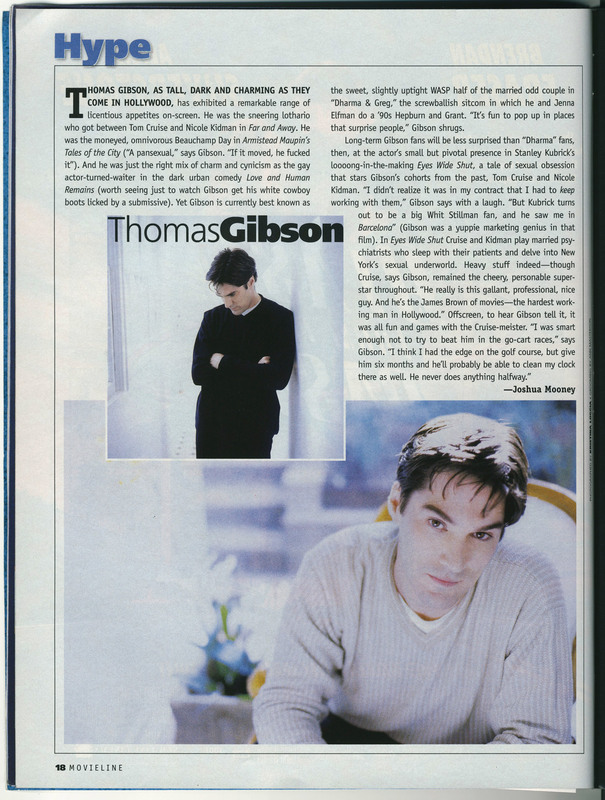 In these three articles Gibson talks about how Kubrick loved Whit Stillman’s Barcelona (please see at the very bottom for two of the articles). “But Kubrick turns out to be a big Whit Stillman fan, and he saw me in Barcelona” (Gibson was a yuppie marketing genius in that film). A performance as a snooty American marketing executive in the Whit Stillman movie Barcelona indelibly impressed the late director Stanley Kubrick, who cast Gibson sans-audition for a small role in 1999’s Eyes Wide Shut. 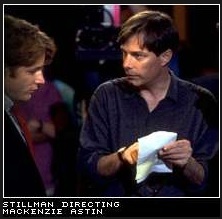 The Official Podcast interviews Whit Stillman for their third episode. It is sort of known and not too surprising (at least to me) that Stanley Kubrick loved Whit Stillman’s film Barcelona. This is talked about in The Last Days of Disco commentary and Kubrick even asked Stillman to take a meeting with him. Thomas Gibson (Dickie Taylor) even got the gig in Eyes Wide Shut without an audition, just because Kubrick had liked him in Barcelona. Nicole Kidman had also told Stillman that Kubrick talked about the film all the time and that he said he liked the technique of dialogue advancing the story. Hopefully we’ll be seeing a Criterion release of Barcelona soon. Don’t forget to tweet or email Criterion about how you would like to see it released by them.